It is always important to make sure our teachers know how thankful we are for them and all that they do to invest in our children. With Thanksgiving one week away, I wanted to share my quick, inexpensive and adorable THANK YOU gift I created for Paisley’s preschool teacher. A thank you gift does not have to be expensive or complex, it is the thought that counts and your little gesture will go a long way. Being a coffee lover, I always find myself gravitating towards a coffee themed gift. And with this chilly fall weather upon us, you know your child’s teacher will be thrilled to receive something warm and cozy. 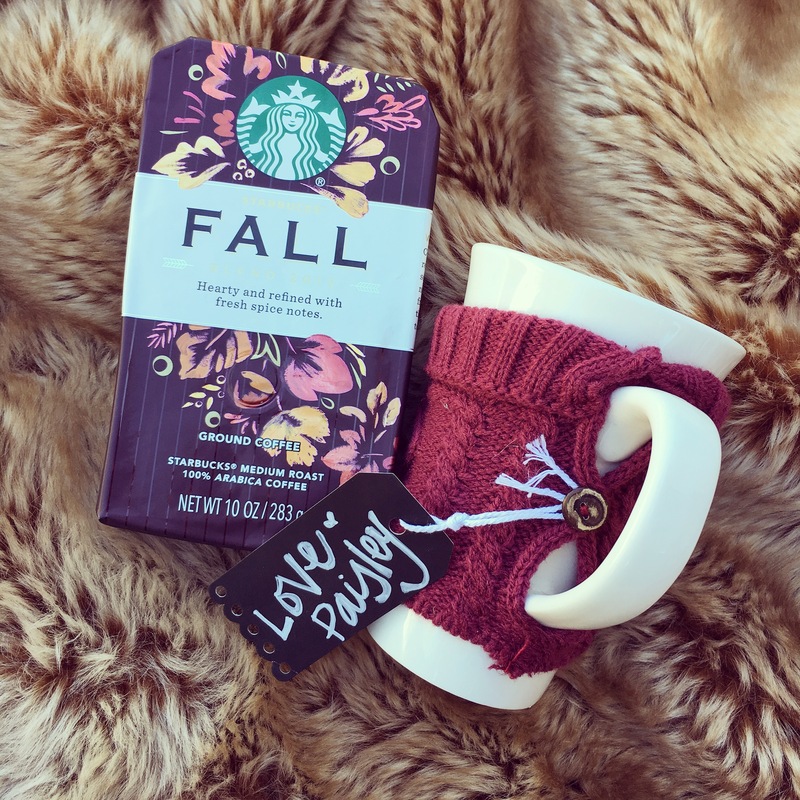 I found these perfect “Fall” themed bags of coffee and paired them with cozy sweater mugs. You can do this too, find any mug you prefer and pair it will a delicious bag of coffee. Add a simple and sweet tag and some blingy ribbon and you have the perfect gift! 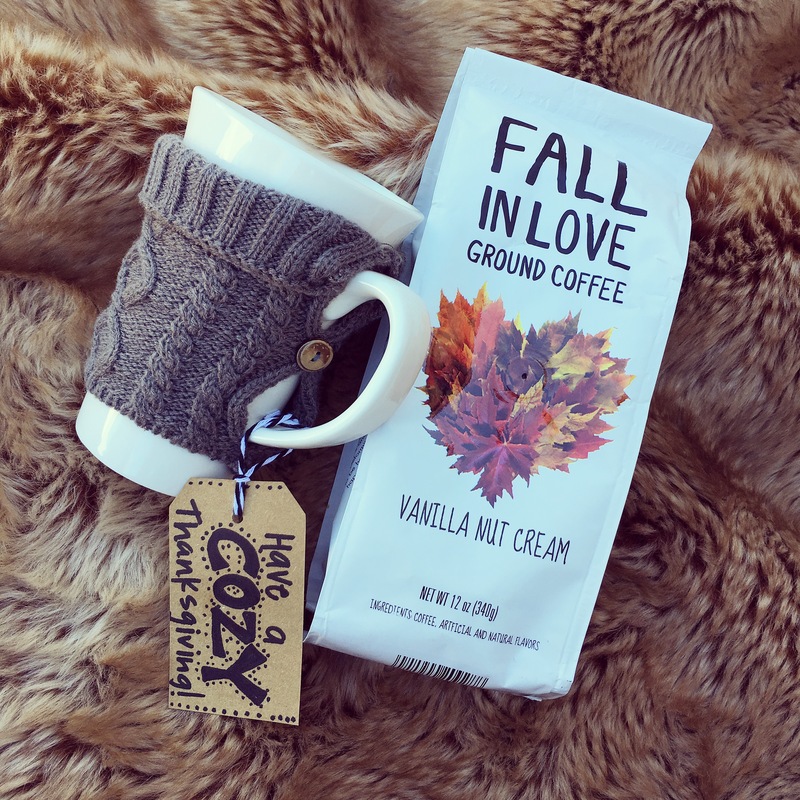 CLICK HERE and CLICK HERE for these delicious “Fall” themed bags of coffee. I found these sweater mugs at Target, but unfortunately they are already sold out online. 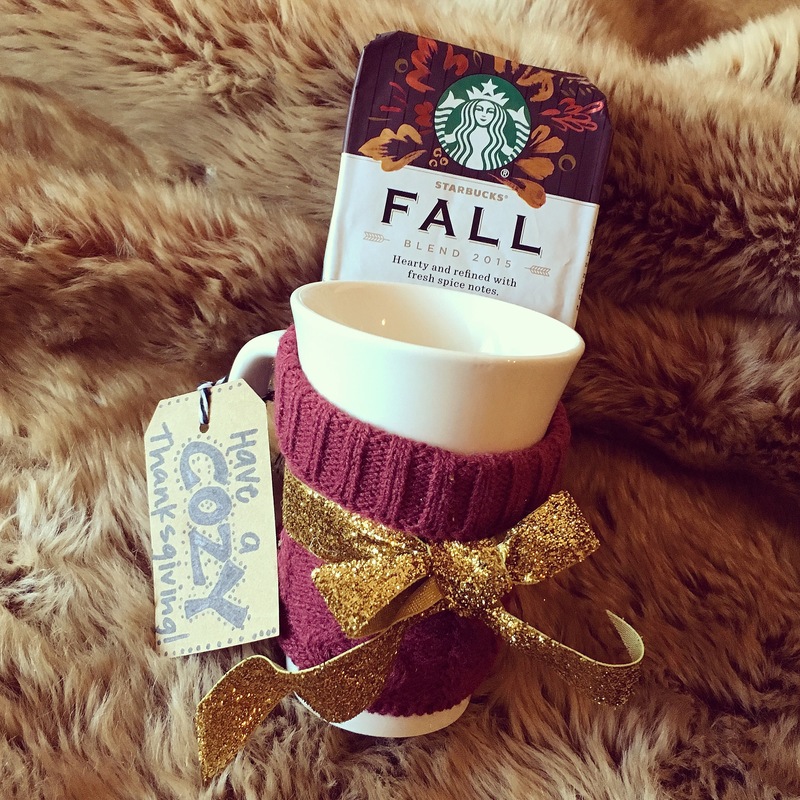 CLICK HERE for another seasonal sweater mug option. Have fun giving gifts this holiday season and tell those teachers how THANKFUL you are for them! QUESTION : What gifts have you given your children’s teachers?